The most elusive autograph of all Medal of Honor winners. Navy pilot Butch O'Hare was one of America's first heroes of WWII. He won the MOH for shooting down 5 planes in one day on 2/20/1942. 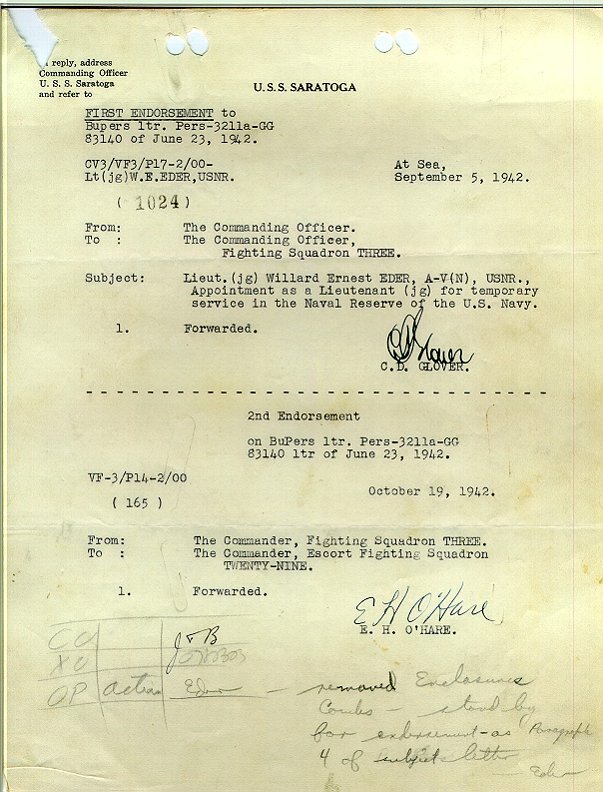 He was later killed in action on 11/26/1943. Eder also has notations in his hand at the bottom of the document where he also signed.